FRAGRANCE Warm pleasures of chestnuts roasted in brown sugar, cafe caramel au lait, dark chocolate and patisseries along les Champs Elysees, Bonjour Paris! SKU: sugarscrubFKW. 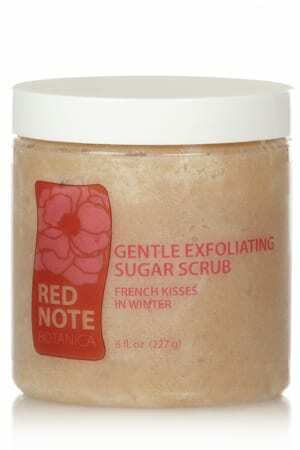 Category: Warm/Sweet, Sugar Scrub, French Kisses In Winter. Regular exfoliation is the first step to preserving vibrant healthy skin with a radiant glow, and will optimize the effectiveness of your topical moisturizer. 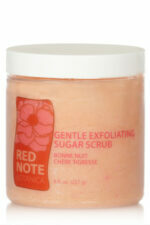 Sugar gently removes dead skin cells, encourages cell turnover and preserves skin’s elasticity. Antioxidant and nutrient rich shea and illipe butters, and apricot, sunflower and grape seed oils easily penetrate to melt away dryness, rejuvenate, nourish, soothe and lock in protective moisture, leaving your skin with a beautifully fragrant foundation for your after bath moisturizer. Twice a week, in the tub or shower, apply to moist or wet skin of neck, decollete, shoulders, arms, legs, stomach and back with a very gentle circular massage motion. Avoid face, breasts, and sensitive body areas. Soak in natural butters and oils. 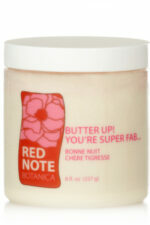 Rinse off completely before applying after-bath moisturizer. Sucrose (Sugar), Helianthus Annuus (Sunflower) Seed Oil, Cetearyl Alcohol, Polysorbate 60 , Ceteareth-20 (Emulsifying Wax), Stearic Acid, Prunus Armeniaca (Apricot) Kernel Oil, Theobroma Cacao (Cocoa) Seed Butter, Shorea Stenaptera (Illipe) Seed Butter, Butyrospermum Parkii (Shea Butter) Fruit, Vitis Vinifera (Grape) Seed Oil, Fragrance, Prunus Amygdalus Dulcis (Sweet Almond) Emulsion, Citrus Grandis (Grapefruit) Extract (GSE:Grapefruit Seed Extract, natural preservative), natural caramelized corn sugar.